With all the craziness and commotion of 2016, it’s easy to get frazzled by everything going on. That’s why it’s important to kick your feet up, grab a soda and a bowl of popcorn, and immerse yourself into a completely new world. Let’s take look at 2016’s greatest movie hits and misses. Zootopia – This hit film scored a whopping 98% fresh on rotten tomatoes. 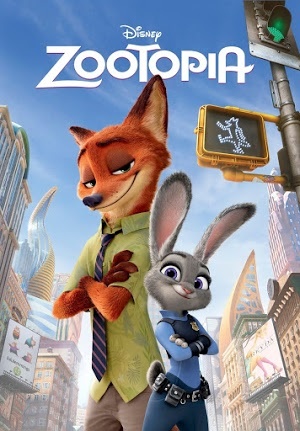 This story of a rabbit police officer and a fox con artist takes place in a world of mammals that live like humans. The film has bested Disney’s Frozen when it comes to praise, and is rapidly nearing topping the $1.24 billion Frozen made as well. And, c’mon… how cute is Officer Hopps? The Jungle Book – This blockbuster received a rotten tomato rating of 95%. Mowgli must leave his family of wolves, the only home he’s ever known, when a fearsome tiger poses a threat. This recreation of Rudyard Kipling’s classic storybook was a CGI filled success. Captain America: Civil War – The Avengers superheroes return with a film scoring 90% fresh. The film tells the story of two factions within the Avengers who disagree with government oversight. With over $1.1 billion and counting, the film has earned a status in the Marvel Cinematic Universe and is said to be one of the “stronger offerings” (Kenneth Turan of the Los Angeles Times). London Has Fallen – This miss only scored a mere 25% rotten. It’s a sequel to Olympus Has Fallen, and followed up with a critical rating just as the bad as the first film. While in London to attend the Prime Minister’s funeral, Mike Banning discovers a plot to assassinate all of the world leaders. With only $62.5 million from the box office, this ‘action packed thriller’ offers all the action but none of the thrill. My Big Fat Greek Wedding 2 – Apparently 1 wasn’t enough. The original film got a 76% fresh, but this one only managed to score 28%. James Berardinelli writes, “…the misbegotten notion that bringing back characters long past their sell-by date is a good idea”. Zoolander 2 – With a 24% rotten, I guess it’s safe to say that this year wasn’t the best for sequels. The movie constantly references the original film, and is likely the end of the Zoolander adventures. Note to future sequel writers: try coming up with new ideas!